We have tried a number of times to delete historical log data via the dashboard. 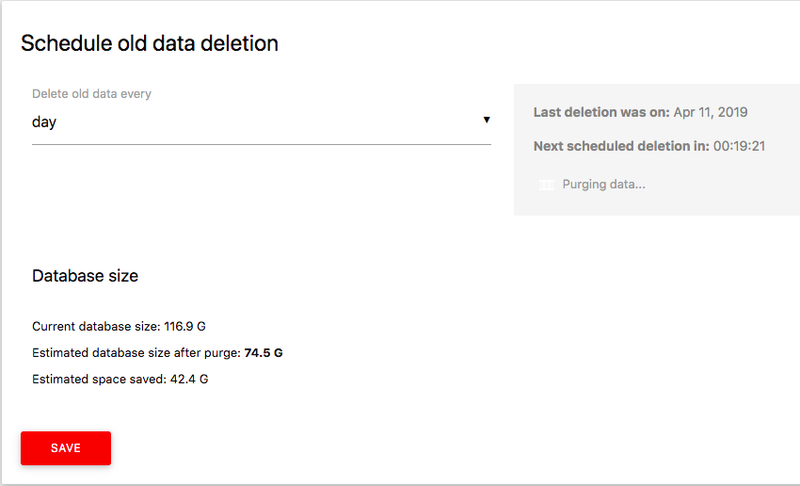 We can see CPU utilization on the server go up when this starts, but data doesn’t seem to ever actually be deleted. I see queries like this run, and run for a long time. And then eventually the server goes back to normal utilization and the database size status screen seems unchanged. Is there a more reliable way to initiate the process or gather information regarding any errors? There is nothing relevant that I can see in the Apache error log. Is there anything that can be done? It seems this is due to the 100+GB size of our database.